DEERFIELD, Ill. (WLS) -- Deerfield-based Walgreens is recalling mini powdered doughnuts sold at its drugstores. The major retailer is recalling Nice! Powdered Sugar Mini Donuts because it has received consumer complaints alleging that mold was observed on some products. Consumers should return the product to any Walgreens store for a full refund. Consumers with questions may contact the company at 1-800-925-4733. The Nice! 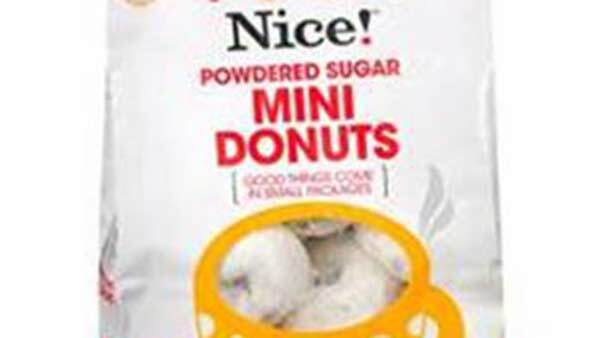 Powdered Sugar Mini Donuts were distributed to Walgreens stores nationwide. The product comes in 11.5 oz packages and is marked with WIC number 178206 and UPC number 4902264948. Both the WIC and UPC numbers can be found near the product bar code, which is located next to the nutrition facts on the package.